Try our new Tangy Orange Ice Cream and a limited time Creation™ and Shake inspired by the film’s colorful characters. Don’t miss Ugly Dolls in theaters this May! 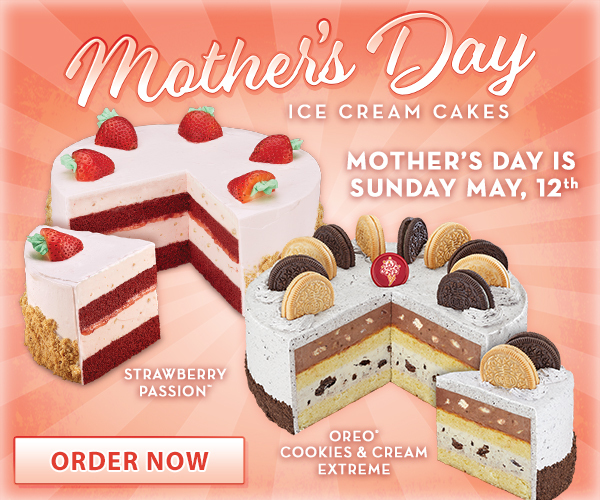 Celebrate the Mom in your life with two of our favorite Ice Cream Cakes – Strawberry Passion™ and OREO® Cookies & Cream Extreme. No matter the flavor, we’ve got your gift covered! Go wild for our new Wild Blueberry Muffin Batter Ice Cream and Creation™. If you love light and lemon-y, our new Whipped Meyer Lemon is a delicious non-dairy flavor! You provide the party, we'll make the celebration with super-premium ice cream, yummy mix-ins, and supplies! Join our eClub and get TWO CREATIONS® FOR THE PRICE OF ONE, plus much more!